We all have a role to play in building a better future. For Epson, being a sustainable company means being mindful of every aspect of our organisation – from the smallest lightbulb to the largest factory. Epson continues to contribute to the greater awareness of global social issues. Part of our mission is to build trust through the creation of innovative products and solutions, that help local communities grow and prosper. Our ongoing CSR activity helps create a better world and is at the heart of Epson’s Management Philosophy. Greenhouse gas emissions from human activities, including technology choices, are one of the main drivers of climate change. To combat this change, in 2008 Epson established its Environmental Vision 2050 as a long-term guide for environmental action. The framework touches on every stage of the manufacturing chain to help reduce greenhouse gas emissions. Messages from Epson's CSR management team. I hear that our customers value Epson because our products enable them to reduce their environmental footprint. I also hear that they expect to work with companies that have a clear understanding of their social responsibility. Our technologies are designed to give our customers a clear choice to make about the social, environmental and financial impact of the products they use. As stated in its Management Philosophy, Epson seeks to become an indispensable company, an ambition that Epson considers to be consistent with the realisation of the sustainable development goals (SDGs) of the United Nations. Epson's CSR Management Office has a direct reporting line to the company President. The global director of CSR is a member of Seiko Epson's board of directors and has overall responsibility and authority for the Epson Group's CSR activities. The mission of the CSR Management Office is to promote CSR activities throughout the Epson Group and to help make Epson an indispensable company. 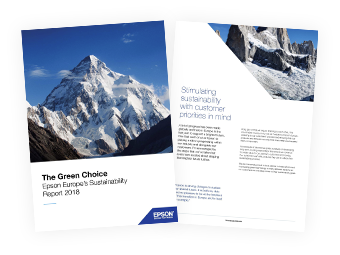 Epson’s European Sustainability Report, entitled The Green Choice, lays out its commitment to Corporate Social Responsibility across all areas of its operations in Europe. It highlights the strides made in energy, water and CO2 savings across Epson’s European organisation; its commitment to sustainability throughout its supply chain and manufacturing; and, its dedication to creating environmentally conscious products that allow businesses to reduce their environmental footprint. To reach the goals stated in our Management Philosophy and to become an indispensable company, we believe it is important to identify challenges and to address them through positive business activities. In 2017, Epson selected CSR themes, taking into account social issues defined by ISO 26000 and other sources. We evaluated them from both our perspective and a social perspective, and prioritised the key themes in the "Key CSR Themes (Materiality)" matrix. Learn about our key CSR themes below. Epson officially joined the United Nations Global Compact on July 16, 2004, when a Letter of Commitment signed by the president of Seiko Epson was sent to and accepted by the Secretary-General of the UN. The letter expressed Seiko Epson's commitment to the Global Compact in the areas of human rights, labour, the environment, and anti-corruption. As a corporate member of CSR Europe, Epson has been helping to solve various social issues by delivering unique value through innovative and creative products and solutions. CSR is becoming increasingly paramount to businesses in Europe, something both Epson and CSR Europe are dedicated to ensuring remains a focus moving forward. We are committed to transparency and have been documenting our CSR activities since 1999. Epson's ongoing commitment to building a better future has been recognised across Europe. 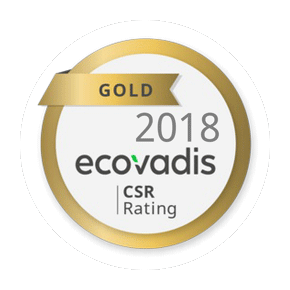 In 2018 Epson was awarded the EcoVadis Gold Rating. The rating, that reflects Epson’s commitment to achieving the highest possible international CSR standards, also acknowledges Epson as being “outstanding” in both the Environment and Sustainable Procurement categories. 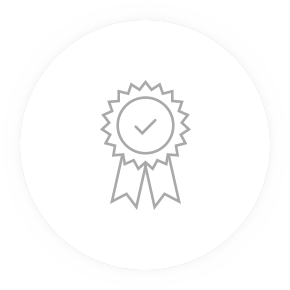 This complements other standards the company adheres to including the Global Reporting Initiative, the United Nations Global Compact, and ISO 26000. The Netherlands: In 2017 Epson was included on the list of organisations that qualified for the Transparency Benchmark. The Transparency Benchmark provides insight into the degree of transparency in corporate responsibility reporting at the 500 largest organisations in the Netherlands. 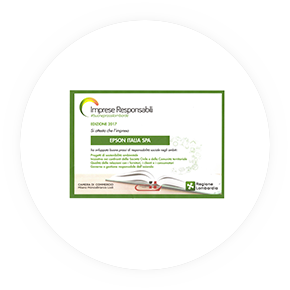 Italy: In 2017 Epson was recognised by the Chamber of Commerce as a responsible company. This award covered the areas of: environmental sustainable projects, initiatives for society and local community, quality of relationships with suppliers, customers and consumers, governance and responsible management of the company. Spain: In 2014 Epson joined the Voluntary Agreement Programme for the Reduction of Greenhouse Gas Emissions of the Catalan Ministry of Territory and Sustainability and the Catalan Office for Climate Change. 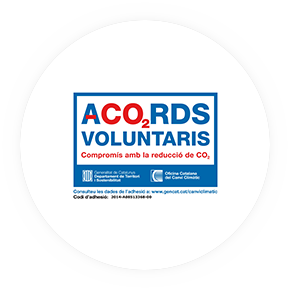 This is a voluntary commitment to monitor and reduce greenhouse gas emissions beyond legal requirements. 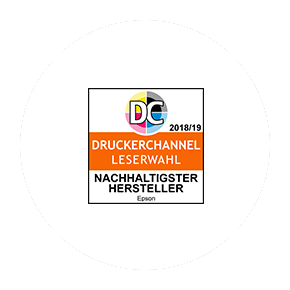 Germany: Epson was voted most sustainable producer in 2018/2019 by readers of Druckerchannel. 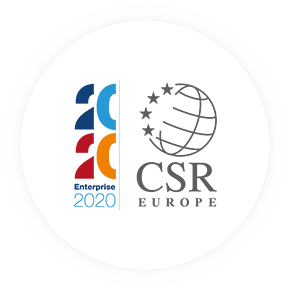 In 2017 Epson joined CSR Europe, the leading European business network for Corporate Social Responsibility, as a corporate member, to reinforce its commitment and focus on CSR globally and within Europe. We’re committed to practising a safe, legal and sustainable business.